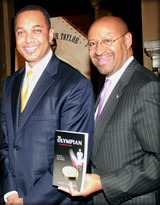 The Olympian is a triumphant story based on the life of John Baxter Taylor Jr., a graduate of Philadelphia's Central High School and the University of Pennsylvania and one of the first members of the Sigma Pi Phi fraternity. This chronicle of Taylor's extraordinary Olympic experience is filled with love, passion and the achievement of a dream against all odds. One hundred years after the fact, the first African American gold medal winner's amazing story is captured in this poignant historical novel. Available at Amazon.com! Order Now! or, Preview the first chapter! 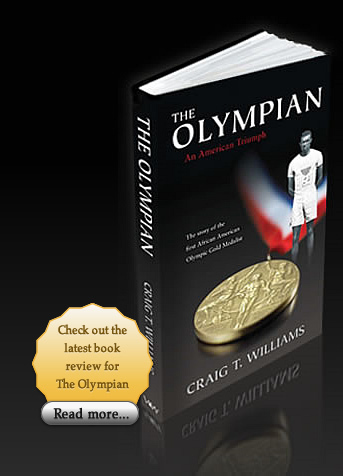 “Craig Williams’ new novel The Olympian allows us insight into the historic life of Dr. John Taylor – a graduate of our very own Central High and the University of Pennsylvania – who became the first African-American Olympic Gold medalist. It is a wonderful book highlighting a talented Philadelphian,” said Mayor Michael A. Nutter.